"10 years as a customer and counting"
if you want statistics on your website fatcow offers "the visitor statistics page" which contains parameters to configure manually for two platforms weblizer, AWstats and for the design the MOJO marketplace offers hundreds of templates and graphics, there are many of sections that we did not talk about that each one includes several features and if we can add one is the one called CGI and scripted language support in the additional tools section that allows you to add mysql database and php scripting , with the mysql database, you can enable and schedule website backups and manage the database. I do like their cheaper options for buying a domain name. I currently have 1 domain purchased through them and they do offer very competitive rates. I have gotten things snuck onto my bill numerous times. From site security protection to domain protection. These were all things that I did not want and they were near impossible to opt out of. This is very bad business practices for the users that are purchasing products from FatCow. I would not recommend FatCow for web hosting but would for domain registration. They do offer very competitive rates for purchasing a domain. I needed a domain and web hosting for my site. Since trying out FatCow I have dropped them for another web hosting service which is cheaper and doesn't sneak things into my bill. 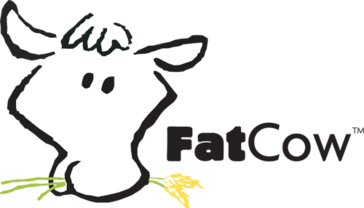 "FatCow has been around for a long long time :) "
FatCow was one of the first web hosting services I used. They've been around for quite a while and Far as Im concerned were the first "green" IT web host in the biz. They integrate a lot of humor into their business as well which, in the IT world isnt always there and its appreciated !!! I do not have any dislikes! They are the complete package! I think they thing that got me about them is they are indeed a green company and they were one of the FIRST green companies that I remember, plus you know its like a first love in a career form because its where I started when I was first learning web development. "Not the best I've used"
The easy to use website builders are great. It is also nice that they give you no limits on disk space or transfers. Initial set up was very easy as well. Low start up cost makes this a good value for the money if you are just starting out. Website set up is almost instant so you can get started right away on site building. There are many positives to this hosting service. Unfortunately, I have found that they are very slow to run wordpress sites, which is what I normally use, other hosting companies can run them much better and a lot faster. I also found customer service to be lacking. I had issue with one of my wordpress sites and found that they had shut them all down. It was a simple issue to fix, yet I spend hours and hours one the phone with a service rep. My sites were down for almost a whole day, which in the world of online retail, is entirely too long. I would be careful if you are using wordpress sites and if you are setting up more than one site, get one up and running first and make sure the speed is up to par with what you need. You don't want to find yourself having to re-do more than one site. Its cost! And has very helpful tools! It's an all inclusive service. It's very easy to use too. They make updates frequently to make it user-friendly. Support team takes a little bit long to answer! Also the support was more useful before, now they don't help you as much as they used to do. It always bring new things. It's a low cost! I have cheaper Shared Servers that mantains my business online. "Very reliable with a decent feature set but needs to be more competitively priced overall." The up-time that FatCow can boast is absolutely amazing. I never once personally experienced the server that our site was on being down or having issues that prevented access to our company site or custom domain email. This was essential in our initial reasoning behind choosing FatCow. Downtime equals lost sales, missed customers, and missed opportunities. The price. The price is low at first and is touted as being a cheap and economical host. Once the trial period runs out though, the price jumps up and loses this factor. The price after the trial period when compared to the services you get, is easily outdone by other major hosting providers. The features at the new price point felt lacking and the support to help with the existing features was delayed and lackluster, although it did exist and the actual support representatives themselves were very friendly. FatCow is great for an initial startup period to get your domain registered and get a website going. Once the trial cost period ends, or if you need more advanced features with quick/efficient support, then it may be time to look at other hosting options unless FatCow starts relying more on competitive pricing/features and less on rank optimization and affiliate marketing for growing their customer base. I utilized FatCow for the domain and web hosting services they provided. My startup at the time needed marketing, visibility, and consumer trust to be successful - and those can all be provided with a solid custom domain to match your company name, a reliable company site to promote visibility, and the primary web presence to generate your leads to. I was satisfied with the services until I decided I wanted a new domain and looked closer at their services and out of trial period costs, at which point I realized their were alternatives that were more economical and feature rich - while maintaining a satisfactory enough up-time ratio. They still have their niche in the hosting world, and as for up-time - can't be beat in my opinion, so I always keep a look out for promotions and changes in their pricing structure. "Decent hosting service, but feels like the service has diminished over the years"
FatCow is a hosting provider and gets the job done if you need to buy a domain and host your website. It is a quick solution for anyone who wants something minimal and something live quickly. Since FatCow is a pretty well-known hosting provider, they try their best to offer the best service to their customers. Having been a FatCow customer for a long period of time, it feels like the customer service at FatCow has diminished over the years. I have had a website hosted on FatCow for about 6 years before I decided to make the move to a better provider (in my opinion), and never needed much assistance with anything - as most of the documentation was fairly easy to understand. However, when I did need some technical customer service support, there were a few things that were red alarms - 1) Their response time was pretty slow (24-48 hours); 2) Un-apologetic - the tone of the representatives I spoke with was rude and harsh; 3) The pricing actually almost doubled in the last 3 years of my service with them. It is disappointing to know that, being a long-time customer, I was not given a good customer service experience when I needed it. I recommend hiring (or at least training) your customer service representatives to have more soft skills for interacting with their customers. It is crucial to any business to hire the best people - as those people who talk to your clients are the face of your company. I am a web developer looking for a place to host my own website and any client websites that I need to, for my freelance job. The benefits I have realized for FatCow is that it is easy to set up and get a website up and running within a few hours. This is beneficial to anyone in a time crunch or is looking to meet a deadline for a client without having to go through loopholes to set something up. FatCow is cheap and they have discounts and promos all the time. It works well for wordpress. I have a number of webdomains at Fatcow and they have been pretty good, it does cost more each year but not as bad as some of the other. 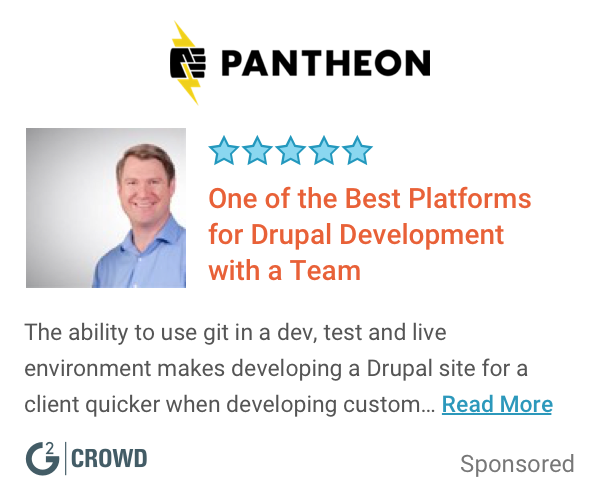 I would recommend this if you are doing wordpress only. there are times they take things down for maintenance. sometimes they get viruses. some extra features that you want are extra money and they don't do backups for free. make sure you keep your own backups as either you pay a lot for backups or they don't do them. they also can block your contact if it gets a virus, probably from shared area or wordpress flaw. Try it out for non-critical hosting, like your own blog or personal site. Look for discounts and search from different browsers, link from different browsers, different times of day as different people will get different prices and different promo codes. Try it for yourself for a small site with the cheapest one month value. And then decide. Don't get a full year unless you can get it for $20 a year. I like that FatCow is environmentally conscious and makes an effort to stay green with what they provide. Their system is pretty easy to use and has allowed me to build my website the way I wanted to with various plug-ins and coding freedom. Their control panel is very very basic and needs some major upgrades to make it more user-friendly. I am solving the problem of presenting my portfolio to a much wider audience on a usable website. I have been able to use things such as WordPress to install a website into products purchased from FatCow. "User friendly and made setting up a breeze!" The extreme ease of use that the company / service provided. Love that it could be a one stop shop if that is what I was looking for. Not many things to dislike about it honestly. Great support, easy to use, good product. None at this time unfortunately. I love to give tips or recommendations to do things a little better. Was looking for a place to host a website and provide the support that I needed as a novice regarding all things of managing a website. "Clunky, outdated UX; not enough value for money"
The Weebly Drag and Drop Web Builder is easy to use and surprisingly professional in its overall function and end appearance. The user experience on the FatCow website leaves a lot to be desired. It's clunky and feels very outdated. The icons aren't clear and the navigation is not intuitive at all. If you're using multiple websites with them it's very difficult to even tell which website you're seeing data for. The value for the money simply isn't there. The user experience is clunky and not intuitive. FatCow hosts my business website, but I regret using them because I do not feel that I gain value for the money I spend on hosting (which is substantial). I love that you do not have to choose a tiered service plan. All plans are unlimited bandwidth and storage. When shopping around, I noticed that a lot of hosting companies charge for MySQL databases (the main reason I was looking for a site instead of my student account). FatCow doesn't. I also appreciate the fact that they are a green company. Managing multiple sites was not quite as simple as the site claims. It took me a while to figure it out. I don't know how FatCow compares to large scale enterprise needs, but for individuals or small businesses, the ease of use, low cost, and free installation of WordPress, Joomla, etc. make FatCow very attractive. As does the free domain registration with the purchase of a hosting plan. Another cool feature is the ability to sign in with your Google account. We all have a lot of passwords and usernames to try and keep track of, and being able to use Google login to access your site is a great time-saver. I was also very pleased by the speed in which the site went live and the speed in which add-ons like WordPress are installed. "Good Service for a small business ownerQ"
Fast customer service and easy to control my website. I think this company is pretty good for the user who wants to make a simple and cheap website. After first promotion period, the price might go up high. I think it is a good web hosting company who want to make a simple and cheap website. You can try at first with very little price and they will navigate you for each step how you make a website. I made my company website by myself and it is pretty easy to make a simple website. How terribly clunky it is, the size limitations of images and attachments. The sheer number of steps in an attachment. The refresh button. I haven't especially solved any business related issues. This was software that I was grandfathered in to. "Excellent shared hosting for the price." Affordable hosting with access to control panels and sql databases for basic cms websites. limited resources means this is for the small business/personal market where web applications hosted will not be very complex. Be sure it will meet your requirements and that you don't need vps hosting or hosting tailored to wordpress/drupal. If all you need is cpanel access for a small forum or custom app this was the lowest cost option that I was able to find at the time. We relied on this service for client hosting when first starting a new web development shop, and eventually grew out of it, but it was great and met every expectation when we were using it. "awesome experience - top quality service"
nothing. excellent in every regard. I switched to fatcow after prolonged negative experiences with another well- known hosting service. * We monitor all FatCow reviews to prevent fraudulent reviews and keep review quality high. We do not post reviews by company employees or direct competitors. Validated reviews require the user to submit a screenshot of the product containing their user ID, in order to verify a user is an actual user of the product. Hi there! Are you looking to implement a solution like FatCow?